Referees in MMA have a pretty tough job. Not only do they have to adjudicate the action, ensuring both combatants stay within the rules of the fights, but they also have to ensure the wellbeing of both fighters is maintained. The difficulty is compounded by the fact that fighters are so skilled that the course of a fight can change in an instant. Referees need to be on the ball to dive in at any moment. 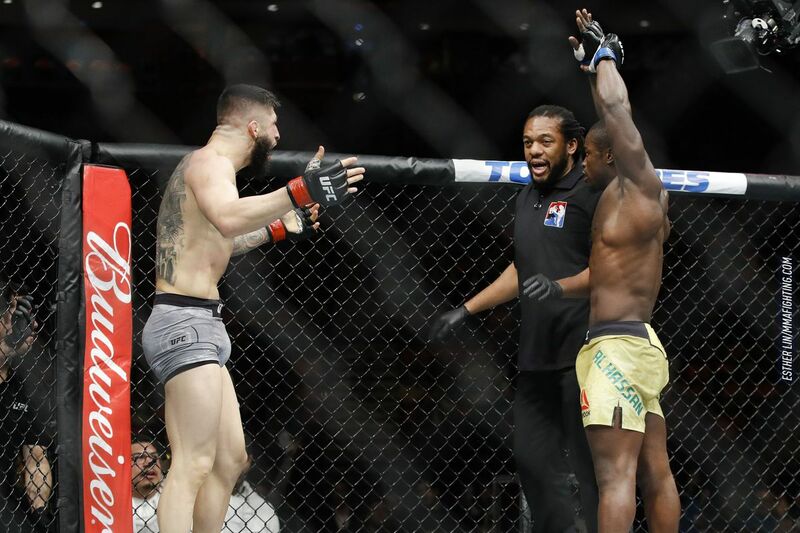 Despite being one of the most experienced MMA referees in the business, Herb Dean was the subject of significant scrutiny after waving off a fight somewhat prematurely after Sabah Homasi went down to escape a barrage of strikes by Abdul Razak Alhassan at UFC 218. The preliminary card stoppage caused an immediate backlash as commentators and fans admonished Dean for jumping the gun. Alhassan (8-1 MMA, 2-1 UFC) had Homasi (11-7 MMA, 0-2 UFC) against the cage and in a lot of trouble with a minute to go in the first round. As Homasi dodged and weaved he was even able to land a few counter punches of his own. But then a shot from Alhassan forced Homasi down to a knee, causing referee Dean to intervene.